Specialists in Romance languages and computer linguistics at FAU are researching the development of language in Cuba. Scientists at FAU are researching how the Spanish used in society in Cuba has evolved since the Communist revolution of 1959. Together with linguists from Humboldt-Universität Berlin and the University of Havana, over the next few years they intend to create a linguistic corpus of media texts, debates and billboards directed at the public. Texts will continue to be added to the CORESPUC corpus on a permanent basis, where they will be available to scientists from various disciplines for linguistic analysis. Cuba is the largest island in the Caribbean, and one of the last remaining bastions of Communism. Since the political revolutions in the Eastern bloc countries and the collapse of the socialist economic area, the country has been largely isolated. Even after the death of Fidel Castro, it has only taken small, hesitant steps towards a liberalised economy and a more liberal political stance. On the one hand, this isolation makes the country very inaccessible, but on the other, it increases its appeal as an area for research, not only for historians, sociologists and political scientists, but also for linguists. With hardly any records documenting how Spanish is used in society in Cuba, it is an area which has remained largely unresearched. 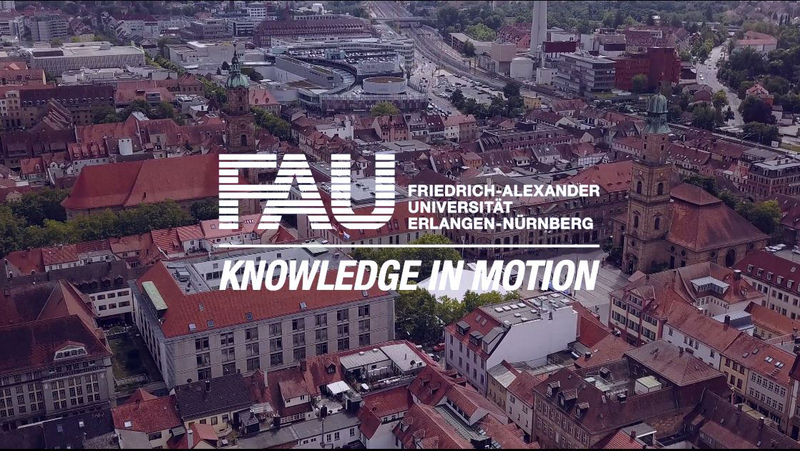 Together with linguists from Humboldt-Universität Berlin and the University of Havana, specialists in the Spanish language and computer linguists at FAU are now working to close this gap. Within the framework of the CORESPUC project – the abbreviation stands for ‘Corpus del español público en Cuba’ – they intend to create a quantitative collection of texts reflecting the use of language in society in Cuba from the revolution in 1959 until the present day and make it available for various research purposes. ‘First of all, we aim to concentrate on the daily newspaper ‘Granma’,’ says Prof. Dr. Silke Jansen, a specialist in linguistics and professor of Roman Studies at FAU. ‘All editions published since 2008 are available in digital form, earlier publications have to be painstakingly scanned and decoded using automatic character recognition.’ Articles from Granma alone account for more than a quarter of a million pages. The German-Cuban team of researchers also intend to include language used during public discussion panels and on posters in the corpus. The researchers are particularly interested in how developments in Cuban society are reflected in the use of language. Does the revolution create its own language, for example? How is the political project of the revolution portrayed in public language? Has the use of significant political buzzwords such as ‘revolución’, ‘socialismo’, ‘capitalismo’, ‘imperialismo’ changed over time, for example when Fidel Castro transferred power to his brother Raúl or in connection with the country’s most recent move towards becoming more politically and economically open? The researchers will also explore which pragmatic strategies are used to portray controversial topics or fight political battles. ‘In Spanish, several different passive constructions can be used to avoid explicitly referring to the agent of a particular action,’ explains Silke Jansen. ‘Euphemisms are frequently used, for example in Cuba the words ‘economic crisis’ are avoided, in favour of a ‘special period’. The researchers are currently working with a pilot corpus consisting of letters to the editor published in Granma, which has already been prepared for electronic analysis. It is to be used to research linguistic strategies for expressing opinions. Experts in the Spanish language are working closely together with computer linguists from the University of Havana and FAU, who have developed new algorithms for automatically investigating certain figures of speech. CORESPUC was launched in 2018. Start-up financing was provided by the Bavarian University Centre for Latin America (BAYLAT) and the Bavarian Research Alliance (BayFOR). The project is being led by Prof. Dr. Silke Jansen, Prof. Dr. Gabriele Knauer from the Department of Romance Languages at Humboldt-Universität Berlin and Prof. Dr. Alejandro Sánchez Castellanos from the University of Havana (Cuba).